Abstract: Finding the right website on Google can be a troublesome process. However, you can change the way you usually surf to yield better results. There are hundreds of millions of websites on the Internet. Due to this, an excessive amount of information is available at our disposal. This, however, doesn’t always help us, as at times, we don’t find the place we actually want to reach. This calls for searching for ways using which we can improve our surfing results over the Internet in general, and Google in particular. Using keywords is the most basic way to reach the desired place on a search engine, but this doesn’t always prove to be helpful. According to royal.Pingdom.com, there are around 255 million websites on the Internet. This also means that there will be millions of websites on a single topic. This is why when you search something on Google, it shows you millions of search results. So, if the keywords aren’t helping anymore, then you can experiment with one or more of the tips mentioned below. The search results improve when you write a line or a phrase instead of a single word. This takes your search results close to your desired spot because millions of websites can use a single word at the same time but the chances of a particular phrase being used are much less. Therefore, if you are able to search for a related phrase, then your chances of finding the desired website/content will increase by many folds. Google is filled with all sorts of files on every type of topic. You can reduce your surfing efforts if you know what you are looking for. Using the file command, you can search for the exact file and save time. For this, you need to write the file format after the search material in the search bar. For instance, if you want to find the benefits of coffee for your teeth, just write, ‘Coffee is good for my teeth filetype:pdf/doc/ppt’, and Google will display results in that particular format only. If you know the website where you can find the desired material, then you can reach it by restricting your search to that particular website only. For this, you will need to mention the website in Google search bar along with some keywords or phrases. Filters are another way of improving the search results on Google. After you type something in the search bar, click the ‘Tools’ button on the bottom right, and there you can filter out the things that you wish to get rid of. This method is fruitful if you want to exclude something from your search results. For example, if you type Doctor – Hospital, then the search results that you get will not contain the word ‘hospital’ in them. 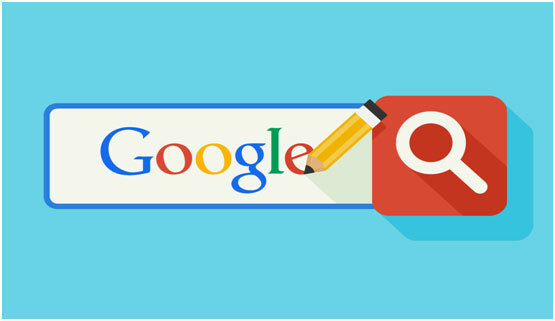 Google is a very useful search engine, which is why many people turn to it whenever they are looking for something. However, you need to search smartly. Discussed above are some of the ways through which search results can be improved on Google. Use any of these methods and save your time by reaching your desired websites instantly. Author: The author of this article is Ellie Malan. She holds a Master’s Degree in CS, She also a writer at Assignment Writing Service and is currently associated with a private firm in the US.